As the FIFA World Cup kicks off and the NBA finals “heat” up, new research suggests that there is such a thing as having “too much talent” on a sports team. The research indicates that, after a certain point, the addition of more superstar talent to a team can actually be detrimental, resulting in poorer team performance. 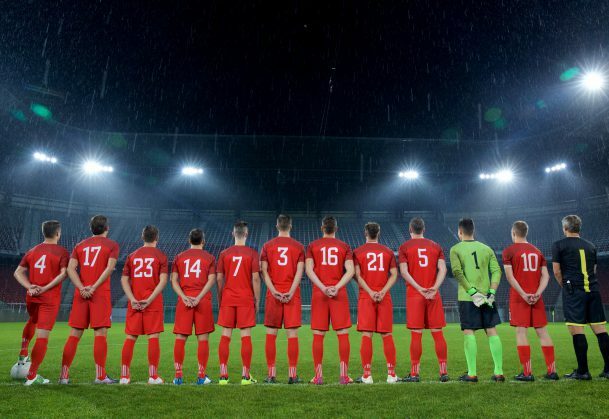 The research, led by INSEAD Professor Roderick Swaab, showed that the presence of too many individuals with top talent can undermine players’ willingness to coordinate, which can compromise effective teamwork and overall team performance. The findings also reveal, however, that most people assume the opposite, believing that piling on more top talent is the key to team success. “Most people believe that the relationship between talent and team performance is linear – the more their team is packed with talent, the better they will do,” explains Swaab. The research indicates that the too-much-talent effect only emerges in sports that require a high level of interdependence between players. For more individualistic sports, such as baseball, very high levels of talent do not seem to hurt performance. So, while Miami Heat fans may currently be rejoicing in their “big three” — LeBron James, Dwyane Wade and Chris Bosh — the team of researchers cautions Miami fans not to forget the Heat’s NBA title loss to the Dallas Mavericks in 2011, a team built around one star player — Dirk Nowitzki — and a number of lesser-known sportsmen. While the Mavericks were successfully complementing each other’s strengths, Miami’s newly acquired superstars were jostling for the spotlight, and paid the price. While team managers from the World Cup, NBA, and MLB may do well to bear these findings in mind, lessons can also be taken to the boardroom. The research was conducted using data from the FIFA World Cup 2010 and 2014 qualifying periods and the 2002-2012 National Basketball Association (NBA) and Major League Baseball (MLB) seasons. The research identified individual talent using individual elite club affiliations in football, Estimated Wins Added (EWA) in basketball, and Wins Above Replacement (WAR) in baseball. This, along with an unparalleled amount of information, including on-court intrateam coordination data, allowed measurement of team performance in relation to the amount of talent on the books. The data for Studies 1a and 1b have been made publicly available via Open Science Framework and can be accessed at https://osf.io/bw48s. The materials for Studies 1a and 1b have also been made publicly available via Open Science Framework and can be accessed at https://osf.io/y4c82.